If you know me you know I am a huge bath fan…. there is nothing more relaxing than a bubble bath after a hectic day! & taking a bath before bed always helps me to get a good nights rest. Below I am sharing my favorite bath soaks that will restore your body and make you feel amazing…. and don’t forget to grab a hot tea, and face mask while you enjoy your bath. 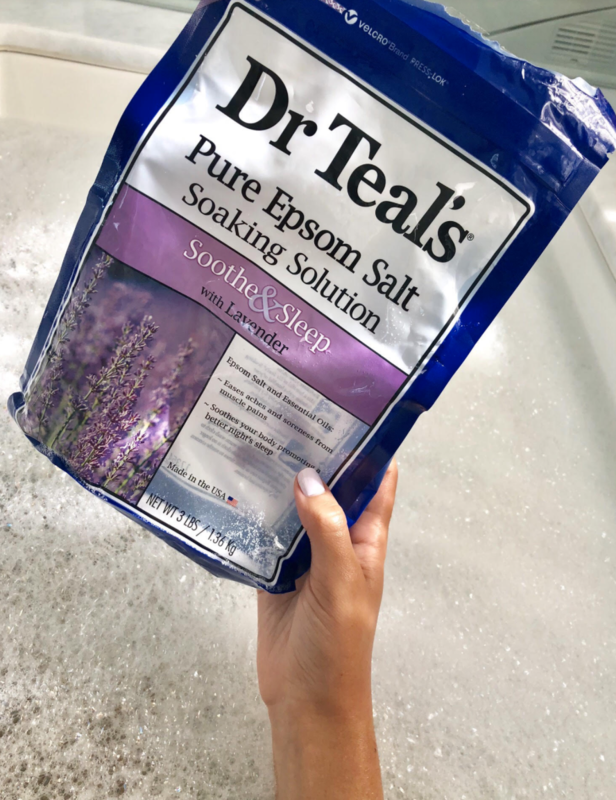 We all know that feeling of being so achy after a workout class… this bath soak will relieve muscle tension and soreness after a workout. This bath soak will rejuvenate your body and detox you from the stresses of life..